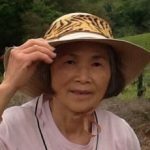 Louisa Y. Tseng (Yuan) passed away January 28, 2018 in Wayland, MA. She was born in Douliu City, Yunlin County, Taiwan on April 24, 1944 to John Wan-Cheng Yuan and Miao-Liu Yuan and attended high school at Douliu High School, class of 1962. Louisa continued her education at Tamkang University in Tamsui, Taiwan, earning a B.A. in English in 1966. During that time, she was a member of the Canaan North College Fellowship sponsored by the Episcopal Church. Following university, she returned to Douliu High School to teach English for three years. In 1969 Louisa left Taiwan to pursue a master’s degree in library science at the University of Kentucky in Lexington. The following year she moved to Atlanta, GA to work in the library at Clark Atlanta University while earning a second master’s degree there in psychology. While in living in Atlanta she joined the congregation at Second Ponce de Leon Baptist Church and participated in the international students’ bible study group and Sunday service. On September 23, 1972 Louisa married Henry K. Tseng. In 1979 Henry and Louisa moved the family to Needham, MA where they lived for the next decade. Louisa became a reference librarian at the Healey Library at the University of Massachusetts Boston campus and worked there until her retirement in 2011. In the 1990’s Louisa also worked part-time as the medical librarian at the Glover Memorial Hospital in Needham. From 1981 through 2006 Louisa worshipped at the Boston Taiwanese Christian Church in Brighton and Framingham, where she served as Church Elder and Consistory Chairperson in 2001. She also served as Boston Chapter President of the North America Taiwanese Women’s Association for one year. In 2007, Louisa began attending services at the Taiwanese Presbyterian Church of Greater Boston. Louisa is survived by her husband Henry, son Edward Tseng and fiancé Renee Cocke, daughter Sharon Burns and son-in-law Chad Burns, as well as grandsons, Tucker and Tobey Burns. Surviving siblings are brother-in-law Chung-Song Sun; Su-Mei Chen, wife of Jing-Ren Chen, president of Nice Group; Wen-Nu Chen, wife of Jin-Shan Chen; Ching-Hsiung Yuan, husband to Wan-Hua Hsu; and Che-Sheng Yuan, businessman and husband to Ching-Shuang Ho. Two older sisters, Yu-Shi Yuan and Hwei-Mei Yuan, predeceased her, as well as brother-in-law, Chieng-Tong Huang. From early childhood, Louisa was profoundly influenced by the Christian faith of her grandmother, and her own faith in God buoyed her throughout her life. She was devoted to her family and frequently offered overseas nieces and nephews a home away from home while studying in the Boston area. In retirement, she was able to indulge her loves for gardening and travel, writing and reading, and volunteering teaching classes about Taiwanese culture at UMass Boston and working with the Happy Hollow Elementary School in Wayland. A memorial service will be held Saturday April 21, 2018 at 11 a.m. at the Taiwanese Presbyterian Church of Greater Boston at 14 Collins Road, Waban, MA. In lieu of flowers, donations may be sent in memory of Louisa Y. Tseng to the Fisher Center for Alzheimer’s Research Foundation at 110 East 42nd St. 16th Fl. New York, NY 10017 or at https://www.alzinfo.org/donate/donation_form/ . Winter is followed by spring, with happiness we will meet again while looking up to the sky. We were so sad to hear of Louisa’s passing. Louisa helped me get my first job in America which led to my career in hospitals by showing me how to write a resume. She always offered help before I needed to ask for it. I cherished her friendship and company and we are thinking of you all now. Louisa led a life well-lived, centered on the important things: faith, family and continuous learning. It takes both an adventurous spirit to build a life half way around the world and a loving soul to remain close to family back home while raising her children with her loving husband. She lives on in her kids and grand kids. Rest in peace.